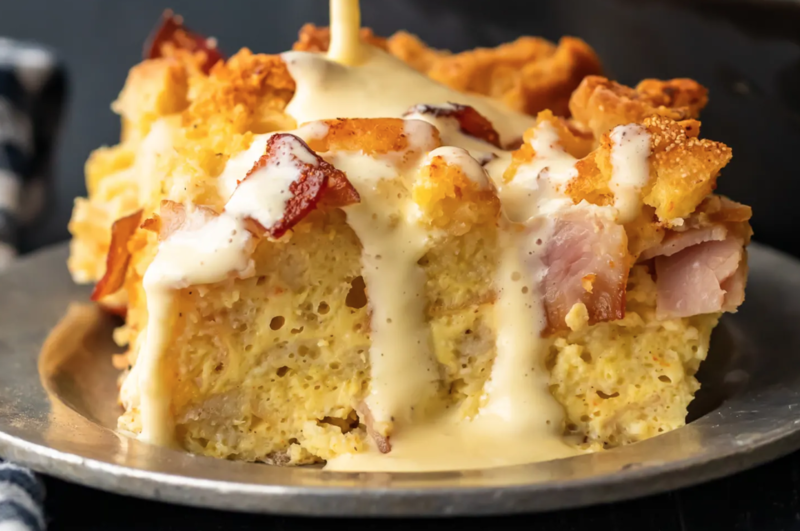 I’m enjoying a lot of things in this “episode” of Friday Favorites. Also, it is beautiful outside here in Los Angeles and I can’t wait to venture out of my apartment an enjoy it. What will you be doing to make the most of the weekend? I finished Hillary Clinton’s book, What Happened, and I hate to tell you that I wasn’t that enamored with it. We all know how the election turned out so every page of the book felt like salt in an ever-expanding wound. The other issue is that, quite frankly, the book is written very stoically. Perhaps with the exact lack of warmth and emotion Clinton’s opponents often accuser her of. I also felt that much of the book was, accidentally, too self-aggrandizing, without taking the accountability she should have at certain points. I don’t know how else to explain. It just wasn’t what I needed. 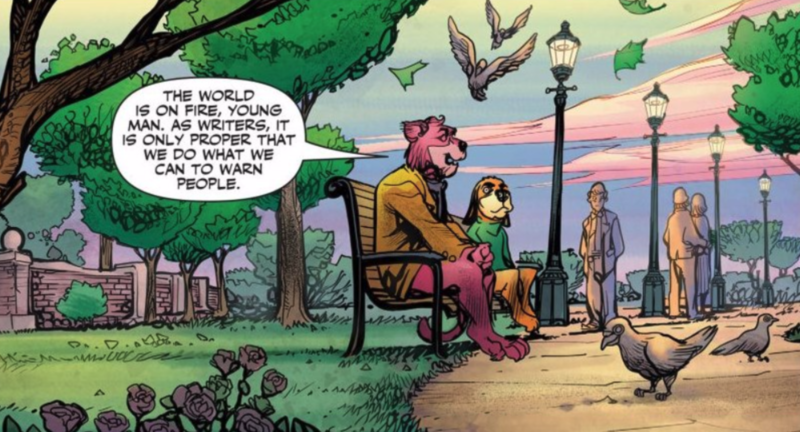 I also read, believe it or not, some Snagglepuss comics (“The Snagglepuss Chronicles”) from Hanna Barbera that were SUPER enjoyable. Would you believe they’re about LGBT rights in the McCarthyism era? Shockingly profound. I’ve been reading a lot about Chef Ludo’s new digs opening up here in the valley. It looks beautiful and I can’t wait to try it!!! Guys, how do I add representing internet pet celebs to my business capabilities? I want to work with puppies like this genius agency. GREAT article from NPR on the importance of independent book stores. And another one from Grok Nation. My friends have a really funny podcast called “So is HE Captain America?” that you should give a listen. Click here for their episodes that break down super hero movies for the ignorant. 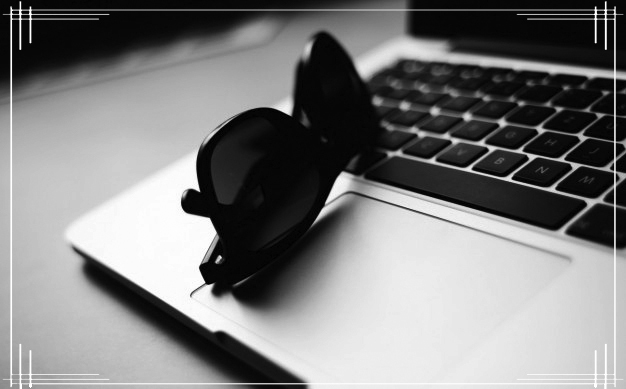 And speaking of podcasts, Media Mandy has some show suggestions for you, too. 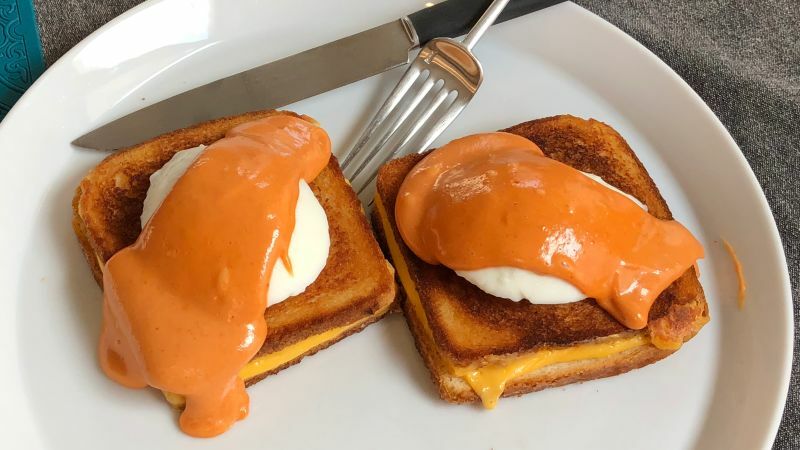 The Takeout put a spotlight on an eggs benedict, tomato soup and grilled cheese combo that – I’m not gonna lie – I would totally eat. Would you? A film I am working on, Wanderland, got a great review from The Village Voice! I will never shut-up about this. Facebook DOES offer a TON of custom privacy settings. You just have to get up the courage to use them! I wrote a great little piece to help you. 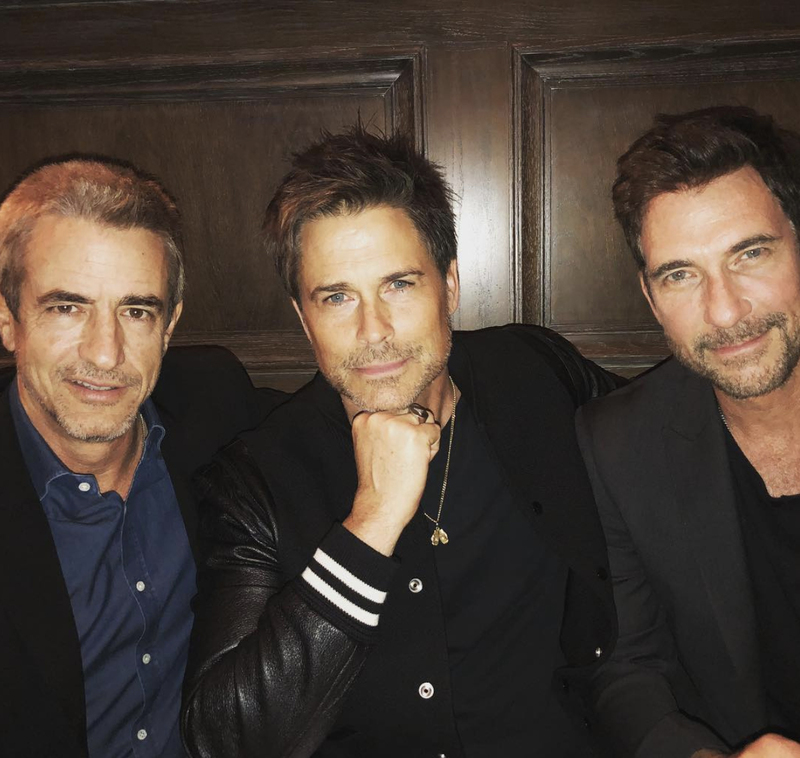 Rob Lowe was hanging out with Dylan McDermott and Dermot Mulroney. I don’t know why, but I find this highly enjoyable. And not just because it’s the most handsome photo ever. Dylan and Dermot are notoriously oft confused for one another. Did you like the movie John Wick? I did and I am TOTALLY excited for Hotel Artemis.